We're HUGE fans of Etsy handmade toys and other sustainably crafted goodies for kids, but sometimes, especially if you spend a lot too much time browsing Etsy, it does seem like you've seen everything Etsy has to offer, and then you're surprised by something new, like Friendly Toys. 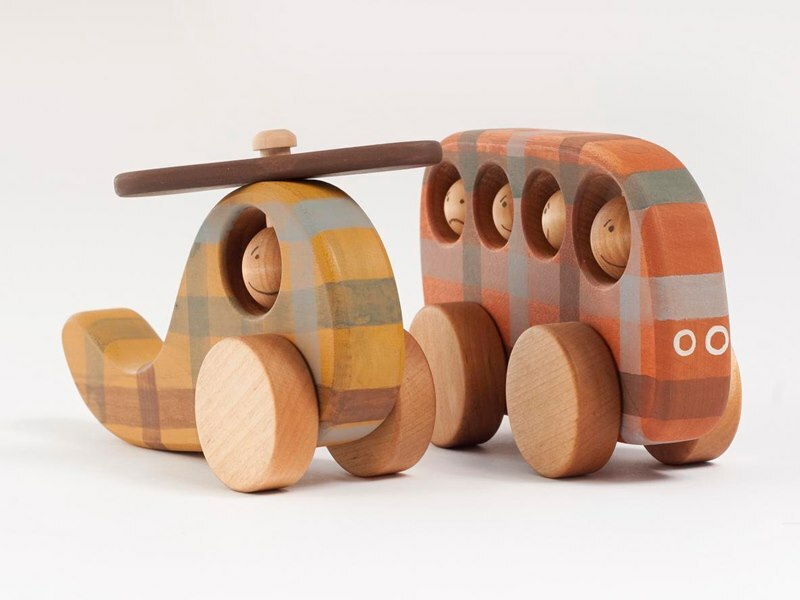 Friendly Toys makes adorable wooden toys for kids and babies that are unique due to original designs and awesome splashes of color that make these toys pop. Bonus - there's a toy in just about every price range, meaning all green families can find an amazing eco-toy at this Etsy shop that they can actually afford. Keep reading to learn more about Friendly Toys and to see their wonderful range of items. 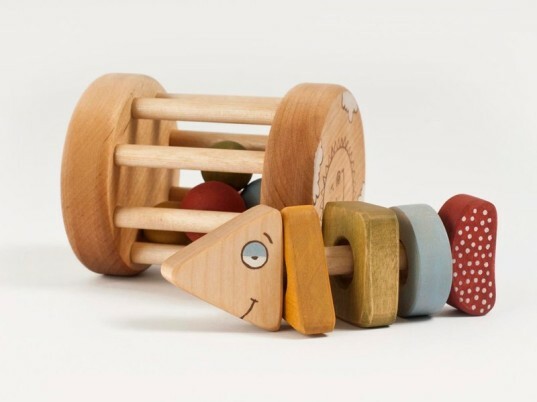 Though we love most wooden toys, Friendly Toys have these cool splashes of color that make the toys really stand out and appeal to little ones. Friendly Toys uses enticingly placed polka dots, stripes, faces, plaids and other color placement plus hand drawn designs on their toys for a fun break from the typical naturally colored wooden toys we see so often. The beautiful colors mentioned above are achieved with eco-friendly milk paint but the eco-materials don’t stop there. 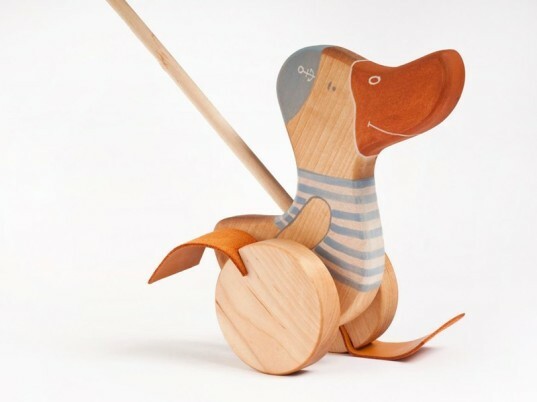 All Friendly Toys are made with green and safe materials that are 100% natural, biodegradable and safe for children, including sustainably harvested birch wood, raw linseed oil and linen rope. All Friendly Toys are heirloom quality crafted and sanded to a perfect satin smooth so that little hands will be safe when playing. Hand painted faces and add-ons mean no small parts to come off in little mouths and every extra part, such as horse hair or pull-along strings are firmly attached. Friendly Toys offers lovely toys that are developmentally suited and safe for babies and children up to about the age of four years. 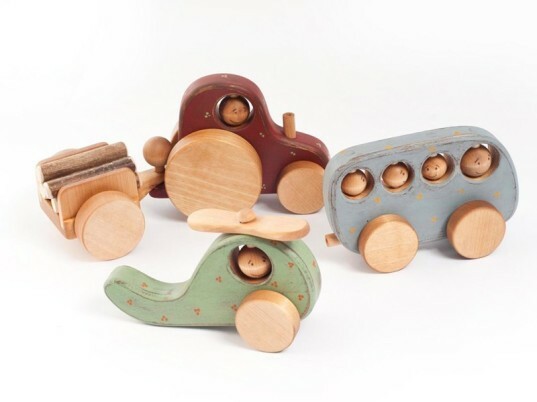 They have baby teethers, rattles and rolling rattles for wee babies and more hands-on toys for toddlers such as pull along toys, push toys, rocking horses, hobby horses and a slew of sweet wooden vehicles complete with little people. The wide range and plenty of color options means you and your child are sure to find something to love at Friendly Toys. 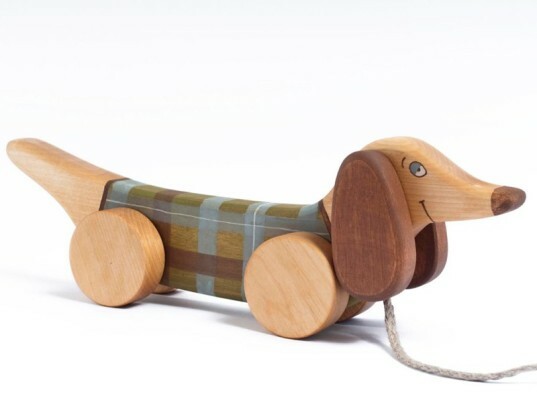 The wood used by Friendly Toys is naturally anti-bacterial and easy to care for with just a damp towel and a bit of water and soap. 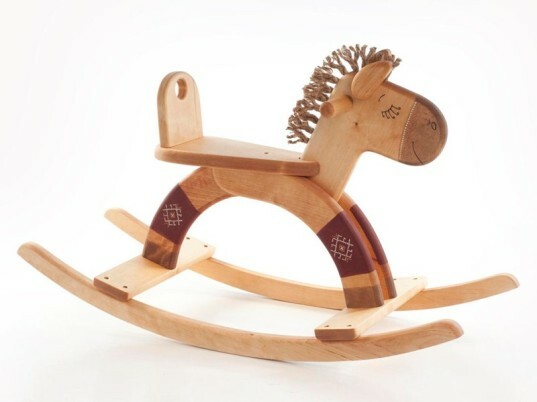 These toys may also be lightly sanded if roughness from play occurs and refinished with any food-safe oil. All Friendly Toys can be ordered through Etsy. Additionally, toys can be personalized or customized by contacting Friendly Toys — and as a neat bonus all customers receive coupon code emails and 10% discounts for repeat orders! The beautiful colors mentioned above are achieved with eco-friendly milk paint but the eco-materials don't stop there. 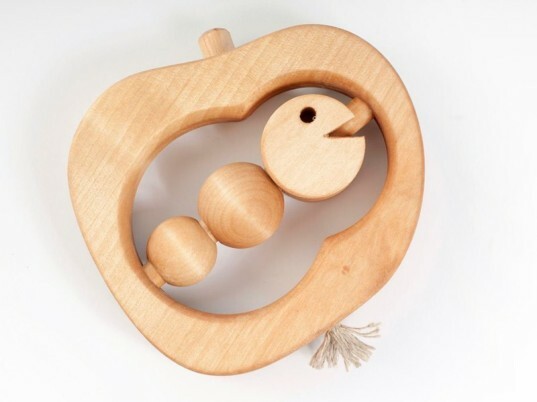 All Friendly Toys are made with green and safe materials that are 100% natural, biodegradable and safe for children, including sustainably harvested birch wood, raw linseed oil and linen rope. All Friendly Toys can be ordered through Etsy. Additionally, toys can be personalized or customized by contacting Friendly Toys and as a neat bonus all customers receive coupon code emails and 10% discounts for repeat orders!